The Caroline Huetter Foundation Award for 2012 was presented this past June to Ryan Page of Arroyo Grande, California. The award of $1000, with no restrictions on use, is made annually to a deserving Central Coast youth in memory of the late Caroline Huetter. Ryan Page was selected for this year’s prize from a very strong field of nominees 18-25 years old drawn from throughout the region. The recipient of the award is a young person who best exemplifies Caroline’s qualities of an open mind, kind heart and caring for others without expecting reward. Ryan’s positive attitude and his enthusiasm for making changes on a community level in support of diversity, equality of treatment for all, and political consciousness-raising made him a natural candidate for this award. 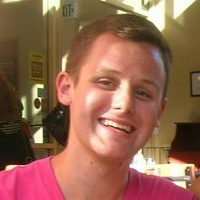 Currently, he is founder and president of the Cuesta College Gay Straight Alliance (GSA), one of the founding members of the 5 Cities Diversity Coalition (formed as a response to a cross-burning incident in the community), and serves on the Growing Together Initiative Committee of the San Luis Obispo Community Foundation. Congratulations again to Ryan! If you know somebody who would be a good fit for the award, be sure to keep them in mind for the 2013 award.